An effortless flow of delicious charms to ornament your neck. Wear long and tie together once, or wrap around twice for a choker. 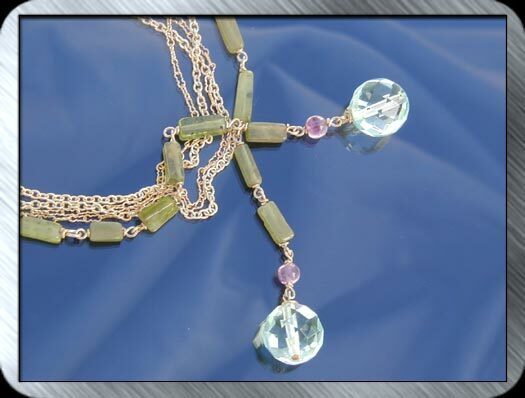 Sumptuous green agate, amethyst and heat treated blue quartz finish off a double strand of 14K Gold fill.